Having a well-appointed home office that is attractive and organized will increase your productivity and decrease your stress. The time, resources, and creativity it takes to initially set up your space will pay dividends in a beautiful work environment and greater efficiency and ease. Start planning today with these home office organization ideas. In an ideal world, you will have a separate room with excellent lighting and superlative sound-proofing for a home office. If this isn’t possible there are a number of creative ways to make space. A closet with the door removed becomes an alcove for work. The once-dead space under the stairs can be repurposed. The dining room table can be called into service. You have the vision to create a truly unique space. Invest in the best quality office furniture that you can afford. This is especially true of your office chair. If your back is happy, so are you. The next power piece is a desk. Try putting two desks together to form a console. Baring that, place an end table by your desk to create room for overflow. Rember, lighting is your friend. 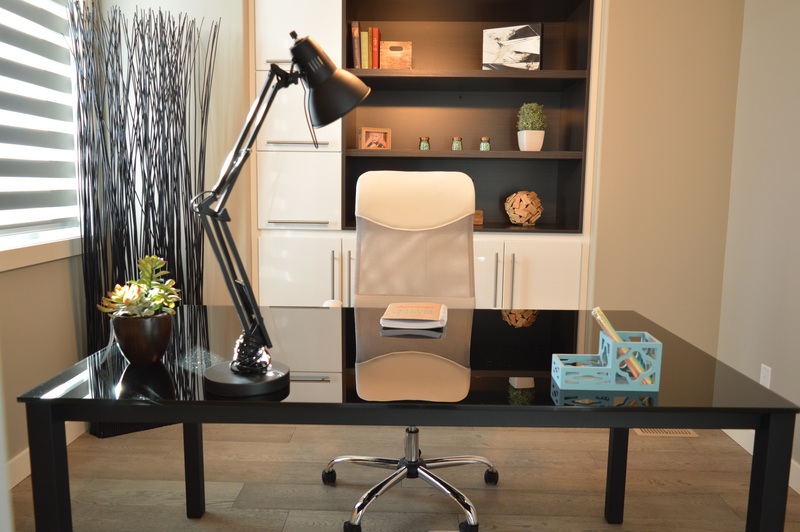 Utilize lighting, whether recessed, chandelier, or desk lamp as a major element of your home office organization ideas. Hanging folders save space and make for easy access. Try color-coding your folders and files for ease of organization. If you don’t have space, then use labeled files that can slip into a drawer or decorative basket that you can store upon a shelf. Go through every piece of paper in your office by using the System of Three: toss it, file it, or respond and take an action from it. Keep files, paperwork, and frequently used office supplies close at hand as part of your home office organization ideas. To save precious desk space, try employing shelving, a rolling cart, closet, or end table. Consider using an inbox/outbox with a two-tiered tray that will save space and help you stay on top of your workload. According to the ancient art of feng shui, cords symbolize money draining and should be hidden. According to Murphy’s Law, any cord lying on the floor is begging to be tripped over. Whenever feasible, try to go cordless. When that’s not possible gather, tie, and tuck away. Always use a surge protector to protect your electronics. Calendars are both friend and taskmaster. Respect them for both reasons as you plan your home office organization ideas. Whether you use a giant wall calendar to keep important tasks at eye view, an online calendar or a discreet desk planner, find a system, implement it, and keep it up to date. Dates are what calenders do best! What time is it? Time to get a clock. Your options for a timepiece that you can use in home office organization ideas include an old-school analog piece that can be charming and decorative, the small digits on your computer or phone, or the watch strapped to your wrist. Make time your friend and find the best clock that meets your needs. Set up an alarm to remind you to take breaks, return calls or rest, that way you can focus on your work without wondering what the time is all the time. One of the best things about having a home office is that you have all the comforts of home. One of the cautions is that there isn’t a ready-made office supply closet to hit. So make your own. Look for seasonal specials and online offers and stock up. Consider a buddy system with another friend who has a home office and stock up in bulk and share. Store multiples and seldom used items in a closet, shelves, or attractive boxes, baskets or colorful decorative bags. Keep the everyday supplies at close hand, preferably in an office drawer or rollaway table or shelf to maximize your desk space. A bulletin board can be a visual boon. It adds color, texture, and interest in the office while cutting down on clutter. Not just cork anymore, there are designer bulletin boards that are sleek and sophisticated and that will complement any decor. Use it to post notes to yourself, deadline reminders, inspirational quotes, pictures of your last vacation, photos of loved ones, or anything that inspires, drives, or delights your eye. Color is an important but often underutilized element of office decor. Color has a strong psychological effect. It can stimulate, relax or even help you concentrate. Consider the effect that you’re after when planning your home office organization ideas. The basic rule of setting up a workspace is to cut down on clutter. This is the most effective means of creating a space that is efficient and free from distractions. And yet, rules are made to be broken. A few token talismans that inspire and delight you are an asset. For instance, a laughing Buddha statue with an interpretation of a dragon tortoise will work wonders. Such a specific figurine holds a coin in its mouth which symbolizes success. Whether a potted plant, a bust of your favorite hero, a globe, a memento of your last exotic vacation or a bowl that your six-year-old made, these objects can be incorporated into your home office organization ideas. Engage all of your senses by trying these home office organization ideas. When noise is an issue, invest in quality headphones or a white noise machine. If you’re inspired by olfactory delights, use aromatherapy oils in a defuser. If you’re fueled by coffee, then set up a coffee machine close by, just make sure that there are coasters around to protect important papers. 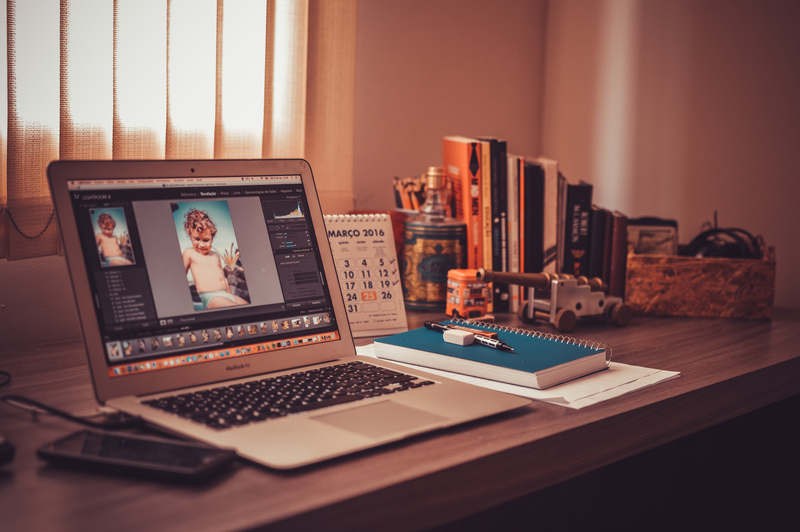 Setting up a home office that is attractive and encourages peak productivity will pay dividends in a relaxed and happy workspace. Express your personality, fulfill your vision, and do your best work in the environment that you create. Make time today to set up your space with these home office organization ideas.